Hongjian Wang joins the School of Languages and Cultures as an Assistant Professor in Chinese. She received her Ph.D. in Comparative Literature in 2012 from the University of California, Riverside, and her B.A. in English Language and Literature in 2006 from Nanjing University (China). Prior to her position at Purdue, she was an Assistant Professor of Chinese at the University of Arkansas. 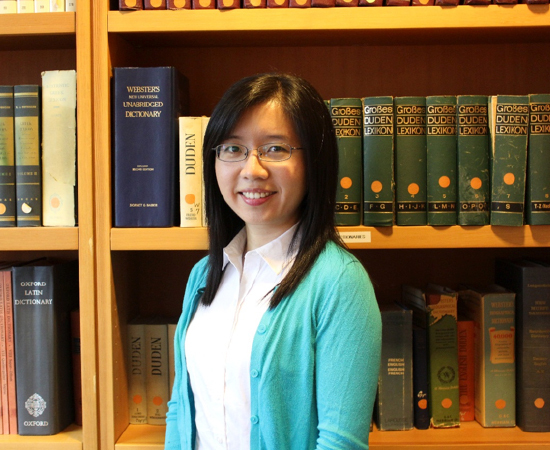 Dr. Wang's research interests cover modern and contemporary Chinese literature, film, theater and cultural history. She has published an article on the photographic representation of modern Chinese masculinity in an anthology on the popular pictorial Liangyou in the Republican era. In addition to her manuscript on Decadence in twentieth-century Chinese literature, she is also working on three new projects, namely, Chinese independent documentary films, contemporary Chinese experimental theater, and the satirical skits in China's national gala on TV during the Spring Festival. At Purdue, Dr. Wang teaches Chinese language and modern Chinese literature, film and culture.